Today my mom came to visit with her two Goldens, and we ended up with quite the retriever party. My mom was kind enough to focus on taking pictures so I could keep my attention on Murphy. 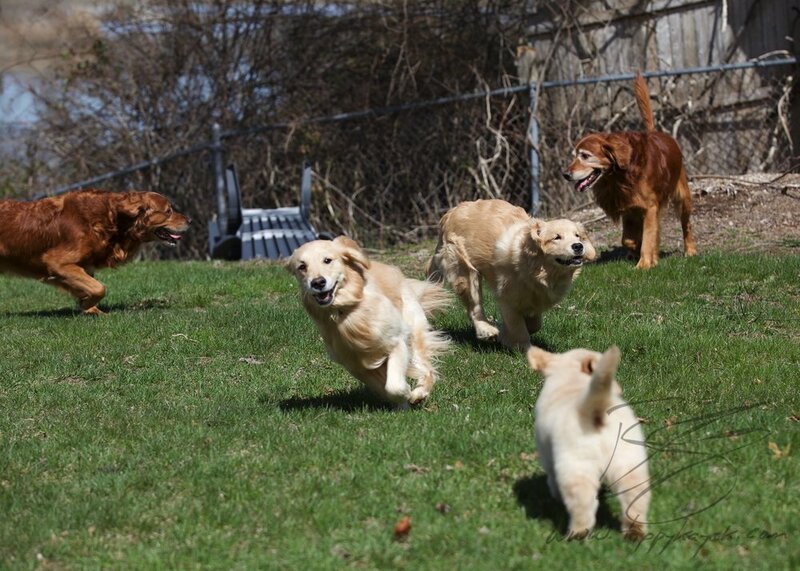 From left to right, it's Jax, Summer, River, Murphy, and Comet. We started in the back yard and then went to hike the East River Preserve, where young River, who's barely seven months old himself, got one of his first full swims. And Murphy bravely got his paws wet. We even got our daily stay in, though Murphy doesn't quite have his down yet. But it's cute as heck to see him watch Comet and try to figure out what the heck is going on.